Does Newest Knesset Member Yehudah Glick Fulfill Jerusalem Prophecy of Zachariah? - Breaking Israel News | Latest News. Biblical Perspective. 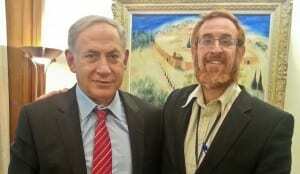 Does Newest Knesset Member Yehudah Glick Fulfill Jerusalem Prophecy of Zachariah? An unlikely series of events has brought Temple Mount rights activist Rabbi Yehuda Glick to the position of Likud’s newest member of Knesset. Glick will bring a powerful voice to the Israeli government that may help move Israel towards a new era of serving God and bringing the Temple Mount to its proper place as a house of prayer for all nations. Indeed, his role may even have been foreseen by the Bible. On Monday, Glick, who is an American-born ordained rabbi, took the opportunity of ascending to the Temple Mount for the last time as a private citizen before he becomes subject to Prime Minister Benjamin Netanyahu’s prohibition banning Knesset members from visiting the Temple Mount. He is scheduled to be sworn in on Wednesday. The Monday visit was a bit uncomfortable for Glick’s new boss. “This is the last time you do something like this to me,” Netanyahu told Glick after a Likud meeting on Monday night. Glick assured him that he had coordinated the visit with Internal Security Minister Gilad Erdan, and has said that he does not intend to violate the orders. When Breaking Israel News asked Glick how these bans affect him, he answered by reverently quoting his favorite verse of Psalms, indicating that he has no intention of giving up on his fight for freedom at the Temple Mount even though he cannot visit himself. Glick is not likely to forget Jerusalem, as the Temple Mount is the focal point of his life’s work. Glick’s organization, the Temple Mount Heritage Foundation, actively advocates for equal rights for all religions on the Temple Mount. Despite his attachment to the Mount, he has often been prevented from visiting the site. It was only in March that he was permitted to return after a long absence after he was accused of assaulting an Arab woman. The case was dismissed when it was discovered that the accusations were based entirely on lies. Criticized for being a settler and often portrayed as a violent, extremist right-winger, Glick is actually soft-spoken and rarely seen without a smile. His gentle nature is a central part of his message. “I don’t have plans to change the world. My main dream is to add a little good to the world, to promote unity among the people of Israel and not let hatred spread,” he said in a recent interview with the Jerusalem Post . 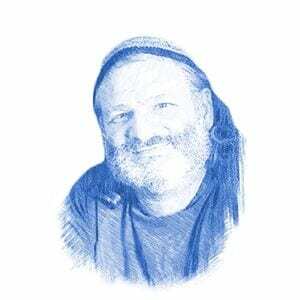 Glick’s universal vision of the Temple Mount has earned him enemies. He is constantly the focus of Arab threats and will be one of the few MK’s to have constant armed protection. In October 2014, Glick miraculously survived an assassination attempt when a gunman, claiming to be acting for “al Aqsa”, shot him four times in the chest at point-blank range. Undeterred, Glick saw his survival as a sign from God that he should continue his work to make the Temple Mount. When Breaking Israel News asked if he was extremist, he agreed with the description. Glick’s controversial stance on the Temple Mount was not considered a threat when he was elected to the 33rd slot in the Likud. At the time, it seemed extremely unlikely that he would actually sit in the Knesset but an unexpected series of events has led to this reality. During the run-up to the elections in 2015, the polls were predicting that Likud would win 18 seats. In an unexpected landslide victory, Likud won 30 seats. Two more seats were vacated when MK Danny Danon was appointed Israel’s envoy to the UN and MK Silvan Shalom resigned. 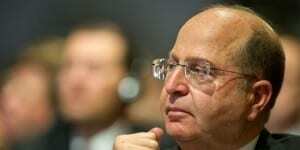 Last Friday, Moshe Ya’alon, a powerful figure in the Likud party, retired from politics due to a dispute with Netanyahu, leading to the appointment of Glick as the newest Knesset member for Likud. Yehudah Glick’s devotion to Jerusalem and his unlikely Knesset appointment carry all the signs of fulfilled prophecy. It is not every day that a headline can so closely resemble a Biblical verse. In this case, the new Likud appointment comes straight from the book of Zechariah. Glick, born in Brooklyn, will have to give up his American citizenship in order to serve in the Knesset, a process he has already begun. The finalization has been delayed due to the bureaucratic complications this has caused, putting a question mark on the timing of his official swearing-in, scheduled for Wednesday.